This page was created to assist our employees in accessing information regardomg their Health Insurance Plan and Wellness Program. You may click on the below topic name to be taken directly to that section. If you have any questions regarding the Wellness Program, please contact Wellness Coordinator, Patrick Somsen at wellness@medford.k12.wi.us or one of your building representatives. If you have a dependent that is living outside the HMO service area, fill out the above form so that claims are processed as in-network. Click here for the form. Welcome to the launch of the Taylor County Wellness Coalition’s Let’s Go, 5210 wellness program! This evidence based program is designed to help employers and employees incorporate movement and healthy eating into the work day. Let’s Go! is created to help support employees efforts in improving and maintaining health inside and outside of work. 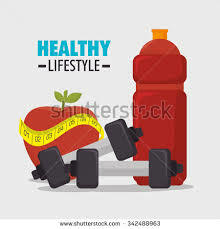 The Taylor County Wellness Coalition initiates, supports, and promotes a healthy lifestyle for individuals, families, and communities and the vision is to implement sustainable outreach efforts that provide opportunities for healthy lifestyle choices in Taylor County. The Let’s Go! Program initiatives center on the common message of “5-2-1-0”, 5 or more fruits and vegetables, 2 hours or less of recreational screen time, 1 hour or more of physical activity, and 0 sugary drinks. These obesity prevention strategies are supported by science and endorsed as recommendations by medical professionals. Attached you will find some additional information related to 5210. What do we need from you? PARTICPATE!!! Each month from September through May we will focus on each of the 5210 initiatives. You can watch for programming to include education, interventions, activities and general awareness regarding the 5210 initiatives. Participation in this program will allow for points options along the way, so join early and rack up those wellness points! We look forward to working towards a healthier Taylor County! Welcome to the “2” of the Taylor County Wellness Coalition’s Let’s Go, 5210 wellness program! This month’s focus is to limit recreational screen time to 2 hours or less per day! BE A ROLE MODEL. Because children model behavior, set a good example with your own TV viewing habits. Avoid watching programs containing adult content when your child is in the room or nearby. Have the family help with dinner. It gets them involved and shows them helping is important. Put on music and let the kids dance. Using screen time for homework or work is fine, but make sure to limit the time you and your children recreationally watch television, play video games or surf the web to no more than two hours per day. Additionally, the American Academy of Pediatrics (AAP) recommends that children age two or younger not watch any television. Let’s keep working towards a healthier Taylor County! Welcome to the “1” of the Taylor County Wellness Coalition’s Let’s Go, 5210 wellness program! This month’s focus is to increase your physical activity! If you're not sure about becoming active or boosting your level of physical activity because you're afraid of getting hurt, the good news is that moderate-intensity aerobic activity, like brisk walking, is generally safe for most people. Start slowly. Cardiac events, such as a heart attack, are rare during physical activity. But the risk does go up when you suddenly become much more active than usual. For example, you can put yourself at risk if you don't usually get much physical activity and then all of a sudden do vigorous-intensity aerobic activity, like shoveling snow. That's why it's important to start slowly and gradually increase your level of activity. You are making a great choice to enhance your health and wellness by participating in the GET PHYSICAL Challenge. We wish you the very best as you move towards a healthier lifestyle and improve your wellbeing. Challenge Overview: The purpose of this challenge is to increase physical activity through healthy competition. 150 minutes of moderate to vigorous physical activity is recommended weekly. If you think you don’t have time to work out, try and surprise yourself! The competition is with yourself – log your physical activity each day to see if you are able increase your activity levels! See if you can complete 20 to 30 minutes of activity each day! If you submit your log on time and for each of the four weeks of the challenge, you will be eligible for our prize drawings!!! Here we go again! Welcome to the second round of “5” of the Taylor County Wellness Coalition’s Let’s Go, 5210 wellness program! This month’s focus is to eat more fruits and vegetables, with a special emphasis on eating seasonally! Does TV make us fat? What the research shows. Television is a favorite pastime in the U.S., and after work and sleep, TV viewing takes up just over half of all leisure time. But the research is clear that too much screen time increases the risk of carrying too much weight. Sedentary activities like watching television, using computers and smart phones, and playing video games burn few calories and can start to crowd out time that could be spent being active. But we’re also seeing evidence that watching TV can actually promote obesity by changing what and how much we eat. In fact, there’s good reason why many organizations recommend that children and teens limit TV/media time to no more than two hours per day. Studies that follow children over long periods of time consistently show that increases in television viewing lead to increases in weight. Research reveals that children who have televisions in their bedrooms are more likely to gain weight than children who don’t. Two studies that followed children from birth found that TV viewing in childhood is an accurate predictor of obesity in adulthood. Why? The combination of lack of physical activity and the aggressive marketing of junk-food children is a lose-lose formula for families. A study that tracked the viewing habits and change in BMI of 1,100 young children over a five-year period showed that the more hours per day of commercial TV children watched, the more likely they were to have a relative increase in BMI. So how do you limit screen time and avoid its contribution to obesity? First, make sure that the programming your children view is age-appropriate and of high quality. Watch television and play computer games with them so you are aware of the potential impact it can have. Second, avoid commercials when you can. Recording favorite programs on DVR and fast-forwarding through commercials can help alleviate their impression on our decisions. And finally, encourage your local television station to avoid placing advertisements for fast food products in programs designed for children. There are many educational and developmental games, television programs, and apps out there for kids that are great ways to inspire learning and creativity. But their benefit ends if using them replaces too much time that should be spent outdoors being active. Be choosy about your screen time, and then turn off the tube and enjoy the best show on Earth: nature! Screen time, whether the television, computer, or video games is one of the largest contributors to childhood obesity. Welcome to the second round of “1” of the Taylor County Wellness Coalition’s Let’s Go, 5210 wellness program! This month’s focus is to increase your physical activity! Also see the Physical Activity Bingo Card or Health Aging & Exercise guides.